AnnMarie brings a vision and experience to understanding the intricacies of combining data and cutting-edge technology and applications that meet business needs. SourceMedia LLC – a diversified digital media company serving senior professionals in financial services, technology and healthcare industries – today announces the appointment of AnnMarie Wills in a newly created role as VP of Audience and Data. Reporting to Minna Rhee, Chief Digital and Marketing Officer, Wills will serve as a key partner to SourceMedia’s clients, helping to drive growth and promote audience development and engagement across all digital products. An accomplished leader with decades of experience managing data-centered media businesses, Wills will oversee SourceMedia’s audience and data team to draw insights and define actionable models that shape strategy. Among other things, she will contribute to the development of data-driven products that help marketers gain deeper insights into the company’s rapidly growing audience base and better meet audience needs. The executive appointment comes as SourceMedia accelerates the expansion of its digital capabilities, deepening audience engagement on digital platforms and strengthening the company’s position as a specialized provider of integrated information solutions. 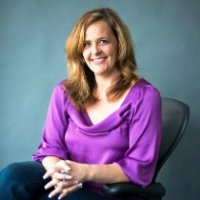 Prior to joining SourceMedia, AnnMarie served in a hybrid role, leading audience development on a portfolio of healthcare media brands known as Allied Media, as well as digital marketing and business insights delivery through sister company, Kinetic Supply, to such notable brands like Microsoft, Crayola, and Hallmark. AnnMarie successfully managed and grew multiple data businesses for Vance Publishing and Penton Media. Early in her career, AnnMarie spent eight years with the major metropolitan newspaper The Kansas City Star, first as a research consultant and finally as Director of Marketing Services.